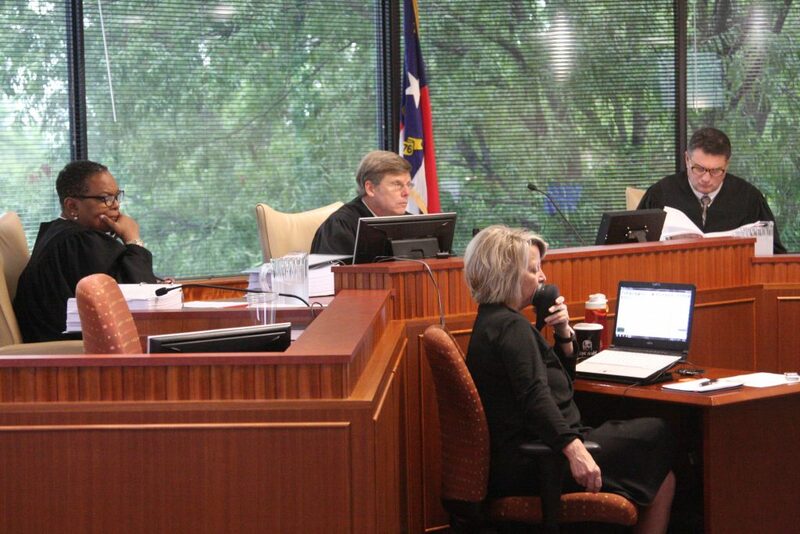 N.C. Supreme Court Chief Justice Mark Martin named a three-judge Superior Court panel to hear the Common Cause v. David Lewis redistricting challenge. In the order, dated Nov. 27 but released Thursday, Dec. 6, Martin appointed Democrats Paul Ridgeway (Wake County), Alma Hinton (Halifax County), and Republican Joseph Crosswhite (Iredell and Alexander counties). The same judges have served on panels in previous redistricting lawsuits (see here and here). No date for hearing the case was mentioned. The N.C. Democratic Party and 22 individual plaintiffs joined Common Cause in its lawsuit challenging gerrymandered legislative districts. Lewis was named a defendant in his capacity as senior chairman of the House Select Committee on Redistricting. Other defendants include Sen. Ralph Hise, R-Mitchell, chairman of the Senate Committee on Redistricting; House Speaker Tim Moore, R-Cleveland; Senate leader Phil Berger, R-Rockingham; the Bipartisan State Board of Elections and Ethics Enforcement, and its individual members. Plaintiffs argue the N.C. Constitution prohibits partisan gerrymanders and provides greater equal protection guarantees than the U.S. Constitution. They say the court should view the complaint under N.C. constitutional protections, toss out the 2017 plans written to satisfy the federal Covington v. North Carolina case, and order new maps for 2020. The 2017 redistricting plan harms the plaintiffs’ freedom of speech and freedom of assembly based on their identity, viewpoints, and content of their speech, making their votes less effective, the lawsuit claims. Money spent by the Democratic Party on candidates for messaging is less effective because of the gerrymanders.